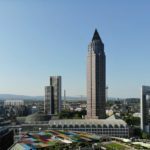 Addition high-rise to be constructed at Neue Mainzer? 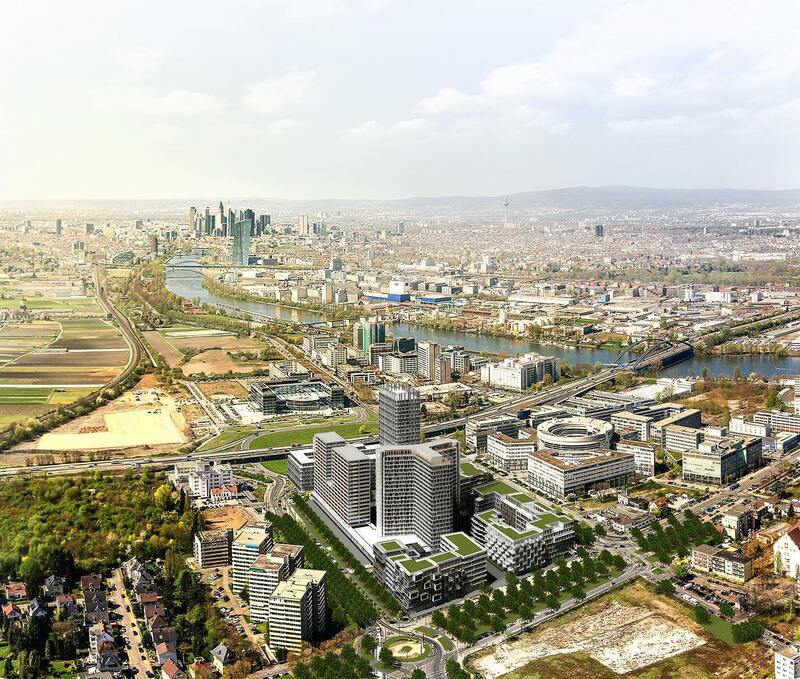 As Frankfurt’s Neue Presse (FNP) reports today, the plans for a new high-rise building on Neue Mainzer Strasse 57-59 are likely to be put back on the table. This could mean a long-term stay for the unsightly corner of Junghofstraße / Neue Mainzer Strasse. According to the FNP, Frankfurter Sparkasse plans to revive the 16-year-old plans for a high-rise building first mentioned in 1822. The plans are at the hand of the architectural office, KSP Engel und Zimmermann. This development, however, is not really surprising. Firstly, the city expects an increase in demand following the reallocation of many office buildings in residential buildings, and the freedom provided by falling numbers of offices. Secondly, the interest rates are favourable, the client is in liquidation and mainly has outdated office space in the banking district. The former mayor of Frankfurt, Petra Roth (CDU), was awarded the honorary citizenship of the City of Frankfurt on 23 March 2017 by a large majority of the town council. 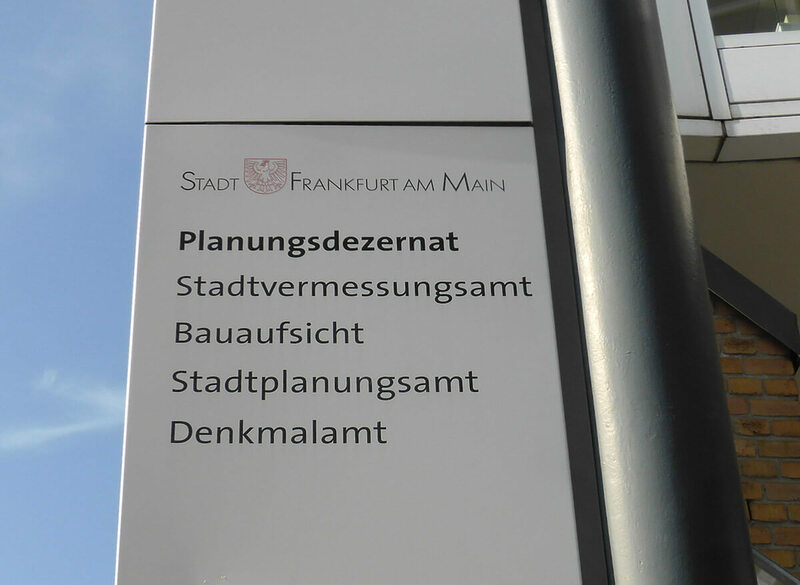 This is the highest award that the City of Frankfurt has to award. Her successor, Lord Mayor Peter Feldmann (SPD), put forward Roth for the honour. The vote took place in a non-public session. The document is to be handed over to Petra Roth in a ceremony in the Emperor’s Hall. The award has been seen by some citizens as a controversial one, as, among other issues, it was during Mrs. Roth’s term of office that the divisive expansion of Frankfurt Airport through the Nordwestbahn (north western runway) took place. Petra Roth, with this award, stands alongside other honorary citizens, such as Helmut Kohl, Albert Schweitzer, Theodor Heuss, Max Horkheimer and Frances Mitterrand. This award has only previously been granted once to a woman, to Trude Simonsohn. Born in Bremen, Petra Roth was Lord Mayor over several terms, including 1997-199 and 2002-2005, and from 2009-2011, was also President of the Deutsches Städtetag. During this time, Mrs Roth committed herself to the preservation of trade tax, which each municipality decided independently. In 2013, Mrs. Roth was appointed honorary member of the German town council. On March 23, 2017, Mike Josef presented a new medium for urban planning. 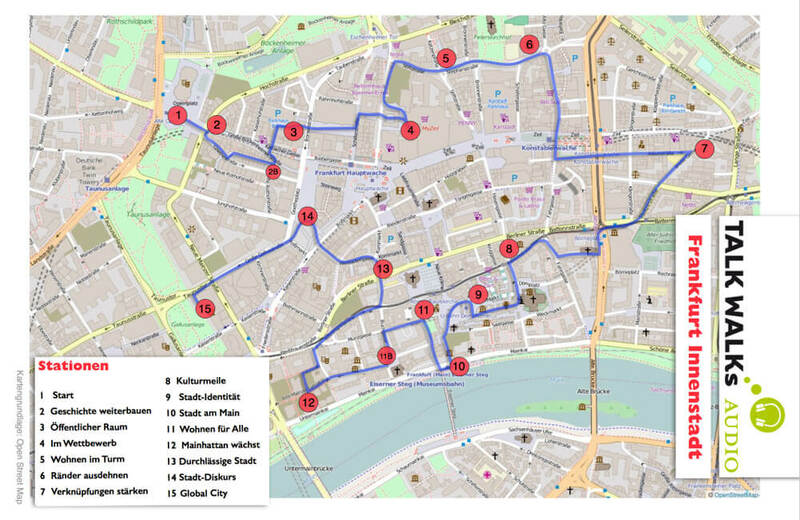 With an audio walk, ‘Talk Walk’, Frankfurt and visitors will be able to find out about urban development topics free of charge during an inner city walk at 15 stations. Frankfurt is very unlike other German cities of a similar size, as it is characterised by persistent population growth and an enormous urban dynamism. This is especially evident in the centre, where the make-up of the inner-city is presented as a result of this growth. The dynamic work ethic here also formulates goals for city repairs, as well as further exciting development of the centre. Renowned and expert talk partners could help the success of the audio walk to Frankfurt’s city centre, which will be distributed to 15 stations of the inner-city walk. Currently on board are: Planning speaker, Mike Josef, map architect, Martin Hunscher, architects, Jochem Jourdan and Christoph Mäckler, real estate contractor, Rainer Ballwanz, pastor, Andrea Braunberger-Myers Radermacher, as well as Nils Schalk and Jörg Stellmacher-Hein from the city planning office. The Audiowalk begins at the Opera Square. Along a route of about four and a half kilometers, and 14 further stations. Each listening station is self-contained; the walk can thus be completed in stages, if desired. The ‘Talk Walk’ was designed by walk researcher, Bertram Weisshaar, who has already designed several publicly-run green belt walks for the Frankfurt Environmental Office. The Talk Walk can be downloaded free of charge from their website and then played on mobile phones or MP3 players: http://www.talk-walks.de. Smartphone users can take advantage of the mobile-optimised features of the website, such as a GPS map and mobile download without having to install the app. Offenbach is now Frankfurt. Frankfurt is now Offenbach! On the border to Oberrad, just off Offenbacher Gemarkung, are due to be built about 570 apartments with a connected market place. 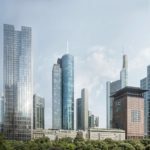 A building permit has now been awarded for ‘New Frankfurt Towers’. 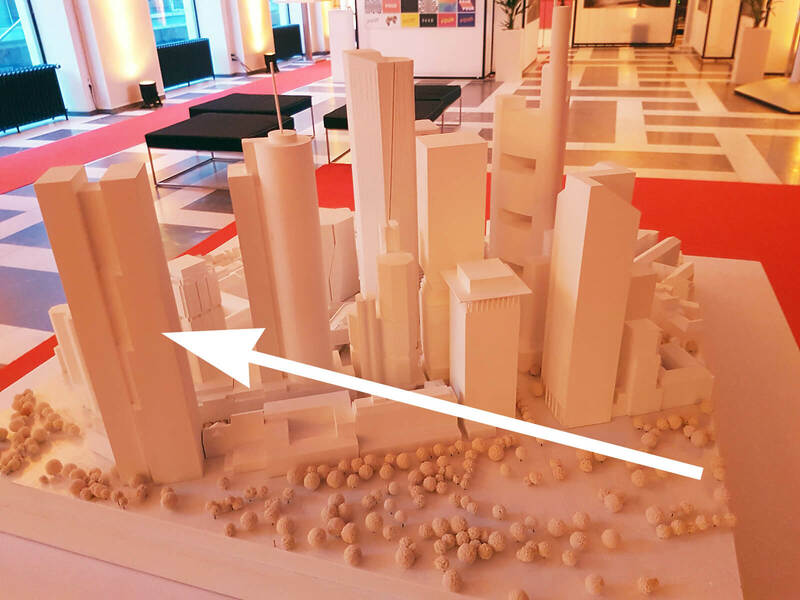 With an investment of 300 million euros, the project developer, CG Group from Berlin wants to establish the project entitled “New Frankfurt Towers”, the area where they have been working in Frankfurt for two years. 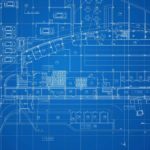 The group has now received the building permit for the first construction phase on the site between Berliner Strasse and Strahlenbergerstrasse in Offenbach. Work is expected to begin in March 2017. The project is to be completed by the end of December 2019. The Department of Planning and Living has published the 5th edition of the Hochhaus-Faltblattes. The map of the current issue, “Hochhäuser in Frankfurt” shows a total of 66 high-rise building projects under construction, with eight projects in the central urban area – over 60 meters high. 28 selected projects are described on the back of the map. Each of these include two images and a building split. The card can be bought for one euro directly from the city centre during opening hours: Tuesday and Thursday from 8.30 to 12.30.